History Harvest is a collaborative community history project that brings historians, students, and community together to collect, preserve, and share Champaign-Urbana’s history. We strive to share the everyday artifacts and materials collected by community members. Think Antiques Roadshow, but instead of pricing objects our students and faculty give lessons on preservation methods, record interviews, scan photos, letters, and other materials, and then share them through an online archive. Founded at the University of Nebraska at Lincoln, History Harvest strives establish new connections and avenues for sharing and teaching community history. With financial support from the Humanities Without Walls Consortium, UIUC’s Public History program and digital publishing group SourceLab have partnered with UNL’s History Harvest and Michigan State University’s Lab for the Education and Advancement of Digital Research (LEADR) to explore climatic shifts in the production of the historical record. Our History Harvest seeks to examine these deeper questions about history in a digital era while also delving into the rich history of our community. 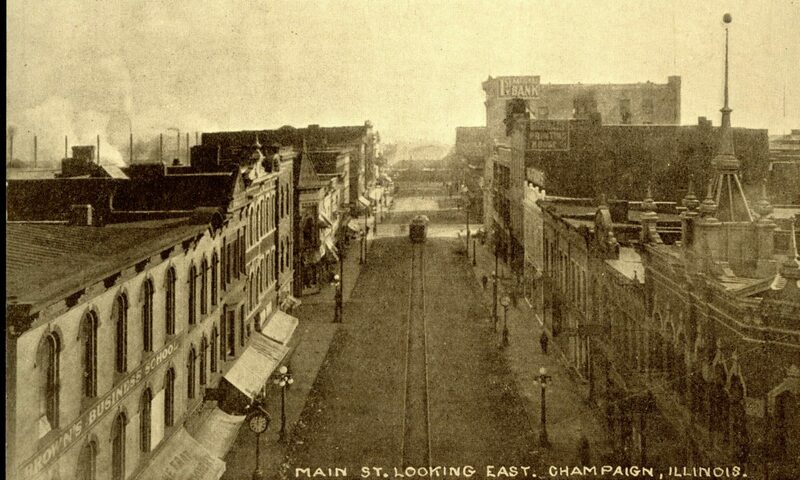 Through collaboration with the Champaign County History Museum, Champaign County Archive, our History Harvest strives to examine the history of the Champaign-Urbana community and bring its lessons to a wider audience.